Obv. 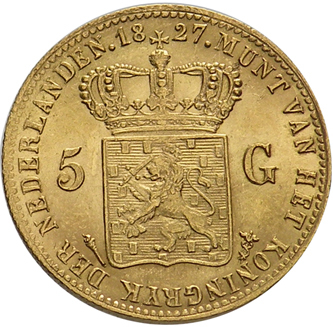 Bust of Willem I left, below bust star the sign of the engraver Braemt. Legend: WILLEM KONING DER NED. G.H.V.L. Rev. Crowned shield between value, date above crown. Reeded edge. Mintmark torch. 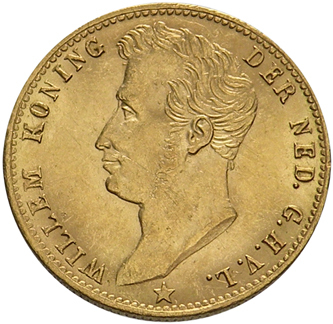 gold, 18 mm., 3.36 grams.